Recently on a trip to Hawaii, I was exposed to these cute, delicious chocolates at the Neiman Marcus at Ala Moana. Verdict: they are delicious. Fun fact: these beautiful little truffles were party favors for those that attended Prince William and Kate Middleton's wedding. I can see why! Beautifully packaged from the outside all the way in, these little chocolate truffles are a beautiful marriage between the sweetness of the milk chocolate and the lightness of the champagne. I honestly don't like the taste of alcohol. Honestly, sometimes I think perfectly good desserts are ruined by the addition of alcohol. 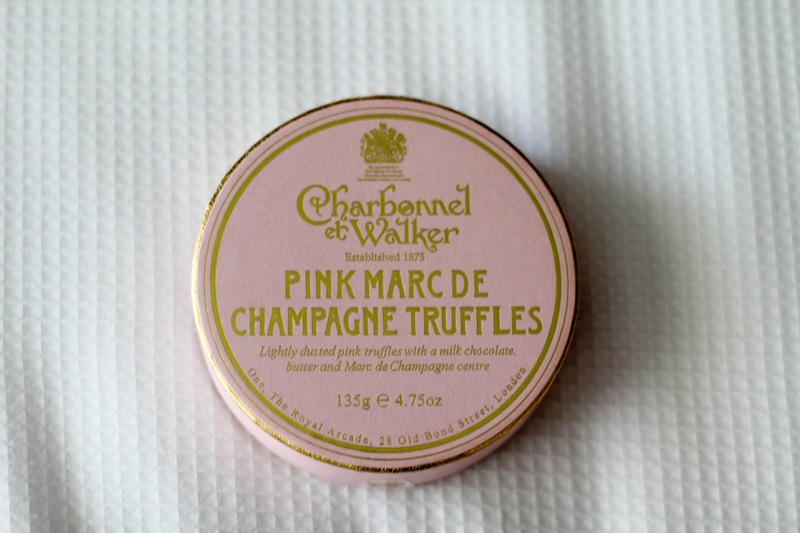 The bite of it is so strong and terrible that it almost automatically overrides any of the delicate flavor within it, but Charbonnel et Walker is completely different! As said previously, they really marry the flavors of chocolate and champagne together well and champagne, without the alcohol, tastes quite yummy! Very delicate in flavor and very sweet, it blends well with the milk chocolate surrounding it. 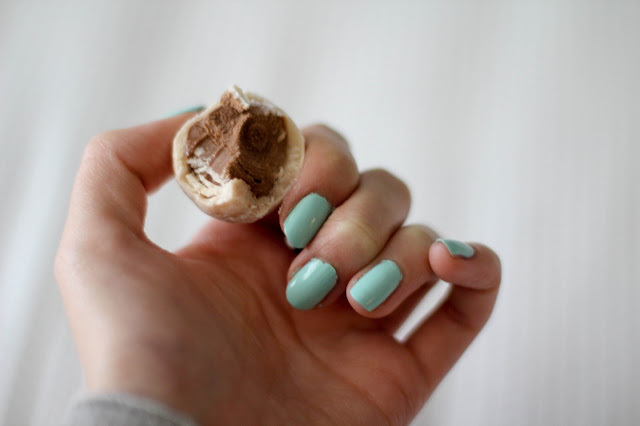 When you bite through the hard chocolate shell on the outside, your tongue is met with the creamy milk chocolate mixed with swirls of champagne infused butter. These truffles didn't have the common problem of other types of truffles: a disconnect between the outer shell and the inner filling. Sometimes the shell or the filling is too hard or there's too much of a contradiction between the outer and inner flavors, but again these truffles didn't suffer from those problems. The outer shell was just hard enough to provide a textural element that juxtaposed well with the sweet, soft filling of milk chocolate and champagne. I could eat these one after the other quite easily! 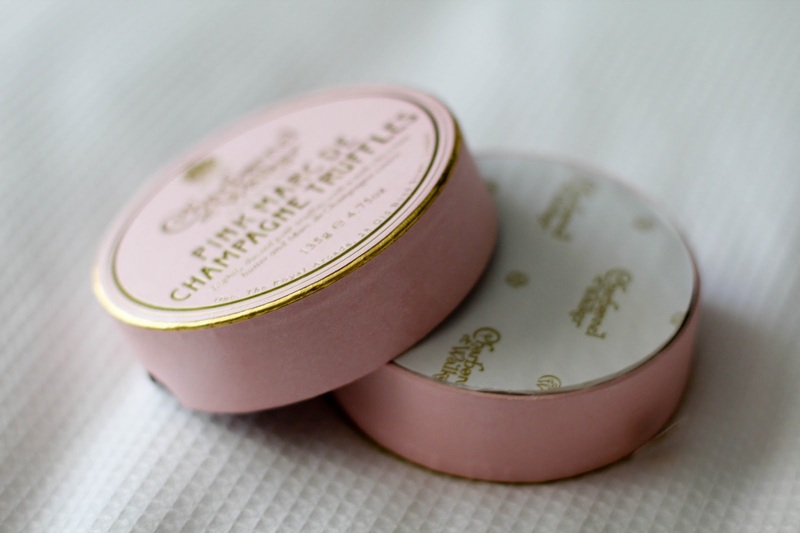 The only criticism that the Neiman Marcus representative told us that the truffles fell under was that they might be "too sweet", my mother and I didn't think so, but for those who don't enjoy sweets generally...these might not be for you. 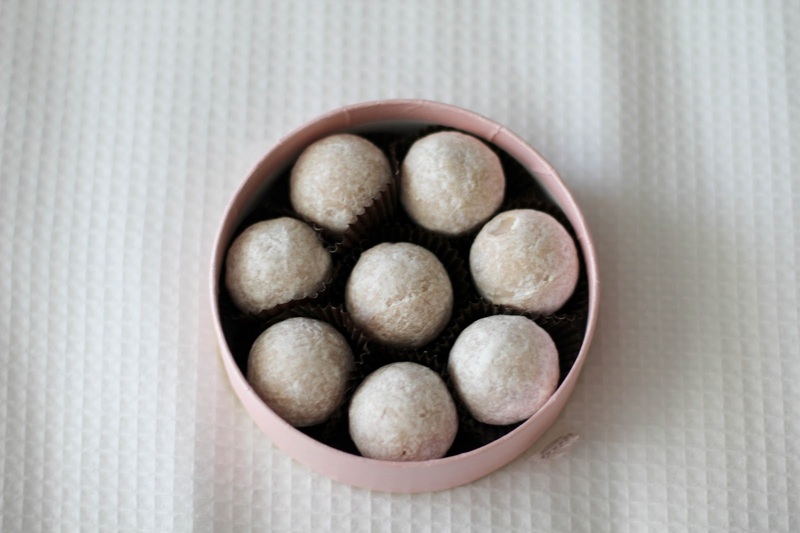 For every other sweet tooth, give these truffles a try!